In the heat of a mysterious murder, Stanley has his long-awaited chance to prove himself as a real detective … but what price will he have to pay to do this? To solve this case Stanley must descend into a modern-day inferno that consists of drugs and mob operations. And snooping he goes, into an underworld of coke and kicks among the Big Boys of Miami and New York. Will he come out of it alive? 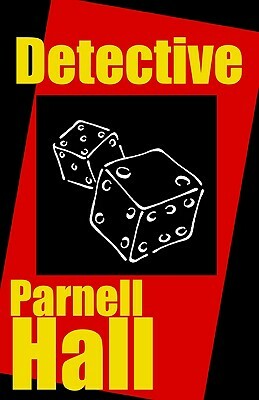 A first novel from Parnell Hall, playwright and screenwriter, that introduces erstwhile detective Stanley Hastings who, while engaged in phony detective work in the aid of an insurance swindle, stumbles onto his first real case. Will Stanley finally prove that he is a real detective?